Vancouver's National Lacrosse League team will feature a new name and logo when it opens its season in December. Canucks Sports & Entertainment announced Friday that the team will be renamed the Warriors. The rebrand includes a new logo - three gold and white stripes forming a V and W, bordered by a shield and with a representation of the North Star above the “VW” crest - and a new black, gold and white colour scheme. The team had been known as Vancouver Stealth since moving to B.C. from Everett, Wash., in 2014. 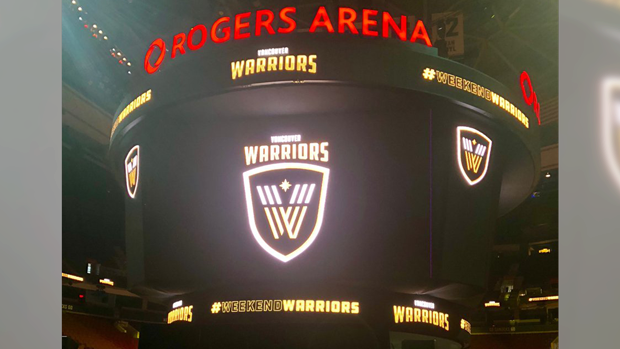 The rebrand continues an off-season of change for the Warriors, who were purchased by Canucks Sports & Entertainment in June. They will relocate to Rogers Arena in downtown Vancouver this season after playing games over the past five NLL seasons at the suburban Langley Events Centre. Vancouver, which managed just two wins last season and finished at the bottom of the NLL standings, will open its season Dec. 8 at Rogers Arena versus the Toronto Rock. The Canucks Sports & Entertainment's creative team worked in consultation with local Indigenous representatives to develop the brand. Representatives from the Musqueam, Squamish and Tsleil-Waututh nations attended Friday's announcement.